A trampoline can create hours of fun for the entire family. Trampolines are popular with children because they give them hours of entertainment and exercise, burning energy and calories while improving their sense of balance and coordination. Athletes use trampolines all the time because it improves their physical skills for sports such as skiing, skating, basketball or football. Bouncing improves leg and core muscles because you tense the muscles to stay upright and balanced. Obviously, the only real concern when deciding on making a purchase, is deciding how much you are willing to spend on a safe and quality trampoline. Buying a trampoline is a big decision for any family and choosing the best one can be a long process. As you read over trampoline reviews and consider all the options on the market today, there are a number of factors to keep in mind – the manufacturer (the brand), the shape, the size, and the safety features of the trampoline. For some consumers, the shape of the trampoline may not be an issue. For example, those people who have a very large available space for their trampoline may not need to be concerned about shape. However, for those consumers who have limited space or whose available space is a certain shape, one shape may be better than another. A family with a long narrow space may not be able to fit a round or octagonal trampoline, but a rectangular or oval trampoline could fit well. On the other hand, if the space is more square shaped, an octagon, square, or circle shaped trampoline might be a better fit. The size of the space available, how much space you want surrounding the trampoline, and how many people will be using the trampoline are important factors to keep in mind when selecting which size to purchase. Also, reading up on trampoline info helps you to decide on which size is best. 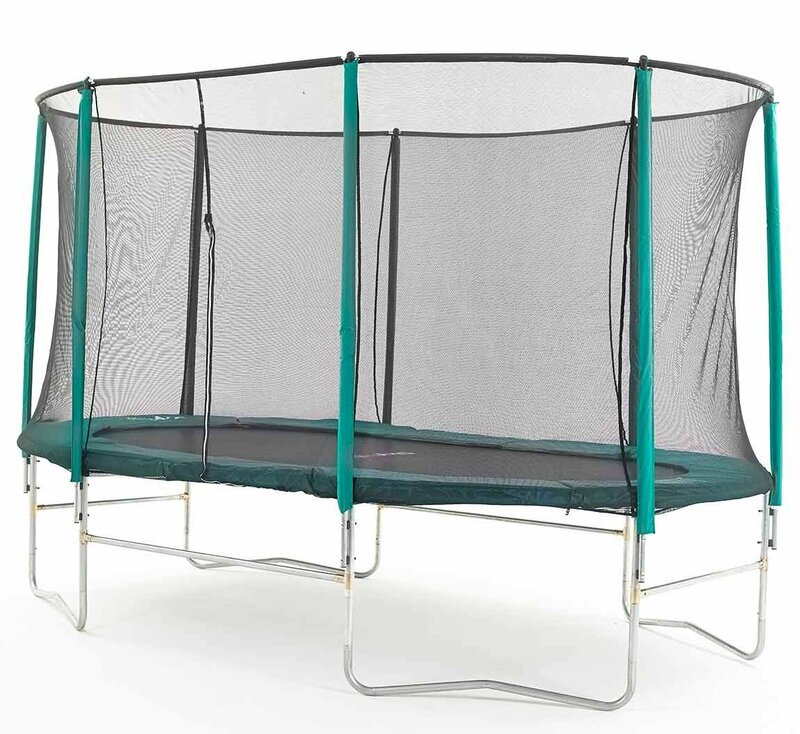 Some models which list at a certain size – for example, a 15’ round trampoline – might be larger than 15’ across. The ‘15 feet’ may refer to the jumping surface, but the ‘footprint’ (the total size) may be greater than the width of that surface. So make sure to measure the available space and the total size of the model you are considering. After all, no one wants to get a trampoline assembled almost all the way only to find out that it doesn’t fit! The frame is probably the most important trampoline part to consider. A heavy gauge frame will last longer than a lighter gauge. How can you tell which is heavier? The lower the gauge number, the thicker the steel. For example, 12 gauge is heavier than 16. The Bed or Mat should be a heavy-duty polypropylene material. Anything else is not acceptable for trampoline jumping use. Springs – the “bounciness” of the trampoline is a combination of spring count, spring size, and spring resiliency. 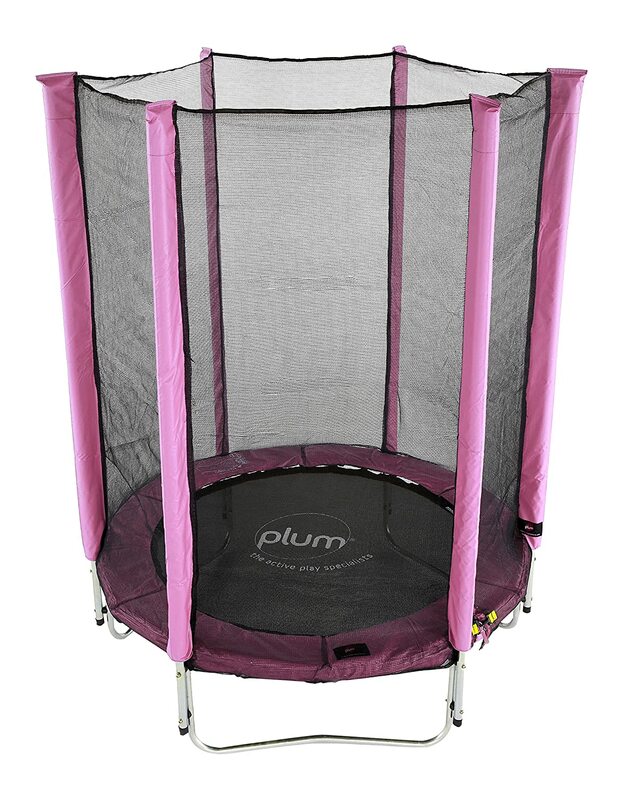 Trampolines typically have springs from 5.5″ up to 10″. The spring count will depend on the quality and the size of the trampoline. 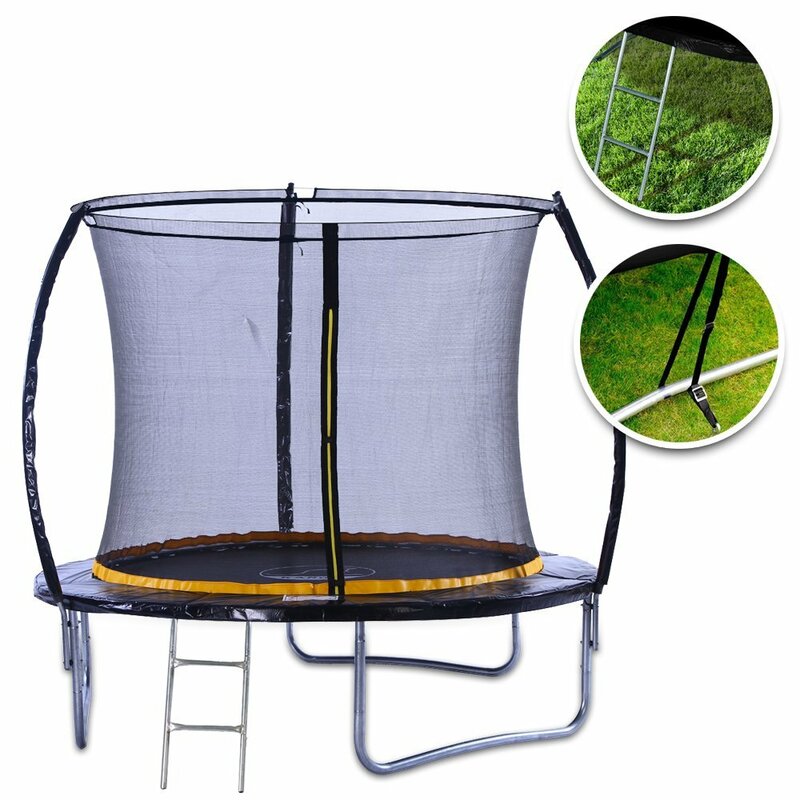 For example, a JumpKing 12′ Round Trampoline has a spring count of 80 and spring length of 5.5″. The frame pad should be wide enough to cover all the springs and thick enough that it provides protection from the frame underneath. Ideally, pads should be at least 1/2″ to 1″ thick. The pad is probably the most important item so DO NOT settle for a knock-off or poorly made pad. The springs or frame can cause injuries. Safety enclosures – Consider trampolines that have safety nets that enclose the jumping area, as part of the design. If it does not have one then buy a safety cage you can add. 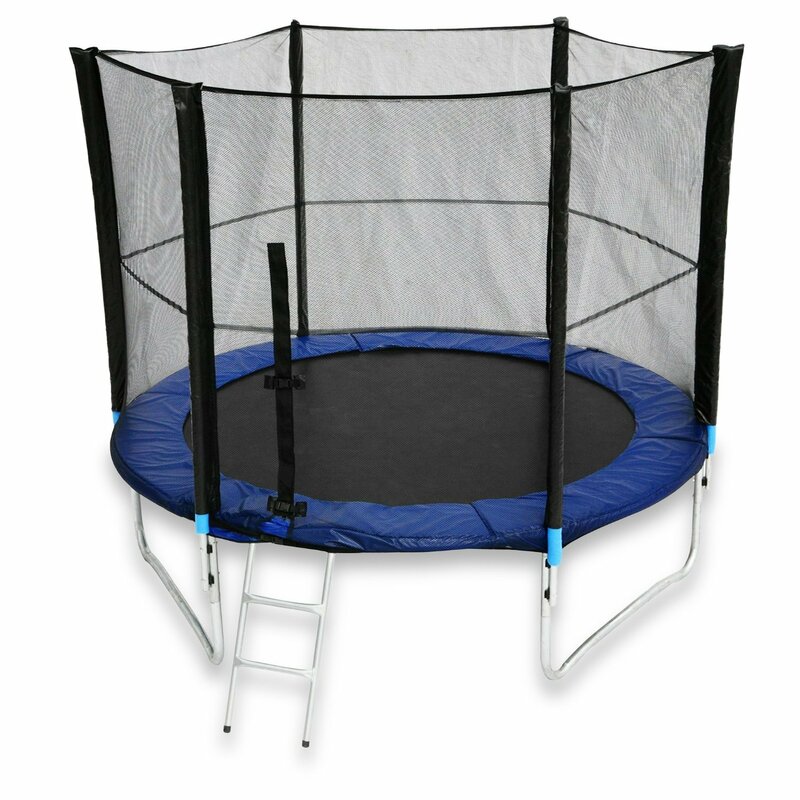 This will reduce the risk of anyone accidentally jumping off the trampoline, falling off or being knocked off by colliding with someone else. Spring covers and safety padding – Durable padding, which covers the coiled springs and the edge of the trampoline’s frame, helps to reduce injuries if a jumper fails to land on the jumping surface. It also keeps hands, arms, and heads from getting caught in or between the springs. Make sure there’s safety pads that cover the hooks and springs that attach the trampoline to the frame. The frame itself should also be covered. The pads should be a different color to the jumping area – this will help ensure that people jumping on the trampoline do not become disorientated and get too close to the edge. Attached jumping surface and safety netting – For models that include a safety enclosure, it is possible to attach the jumping surface to the enclosure, preventing any gaps between the two. Springless (coil free) trampolines – A few trampolines on the market are made without traditional steel springs. These ‘springless’ systems prevent injuries which result from body parts getting caught in traditional coils. Whenever you are searching for the right trampoline for your family, consider the safety of the model. Always buy your trampoline from a reputable company and do not compromise safety features for the sake of saving money. If the trampoline is intended for use all year round, it should be made from heavy duty galvanised steel. Be aware of the guidelines that come with every trampoline that confirm the safest maximum weight of the users. Will older children and/ or adults being using it or only younger children? What is the height and weight of the jumpers? How many will be jumping? In addition to the above factors, there is one very important question to ask yourself: Why do you want a trampoline? Having an idea how you and your family will use the trampoline may help you to decide what size, shape, and brand will best suit your needs. Here are a few commons uses for trampolines. Keep in mind that trampolines can be used for multiple purposes, but having a specific use in mind may steer you towards one type of trampoline over others. 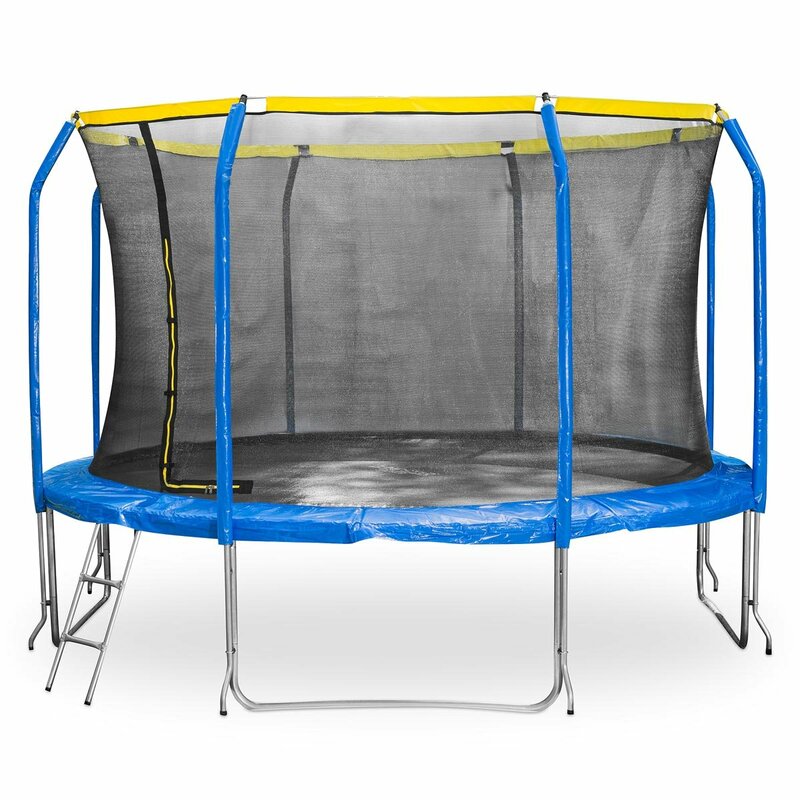 Being familiar with the manufacturer’s specifications for the trampoline is a good thing, but also reading other consumers’ trampoline reviews will give you a sense of how a particular model performs under real world conditions. 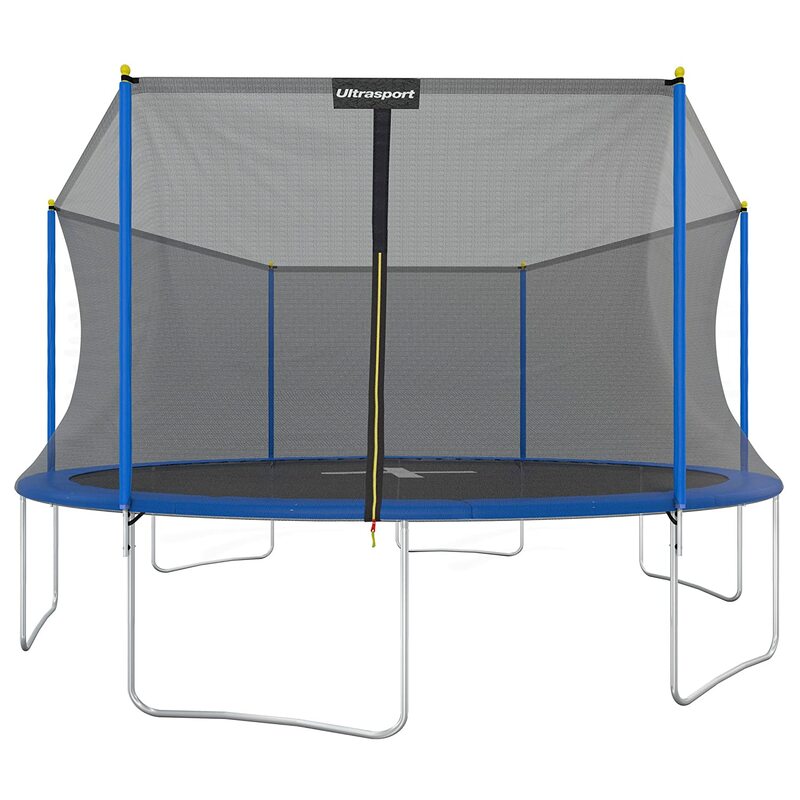 When considering where to locate the trampoline in the garden, you need a safety zone around the outside edge of at least 3 feet (2.5 meters) that is completely clear of hazards such as trees, fences, toys, bikes, gardening equipment etc. NEVER place the trampoline on a hard surface, such as concrete, unless you can put crash mats around the trampoline. Ideally the surface should be soft and springy, such as grass, bark wood chip or sand. Do not use a ladder to get onto the trampoline, or if you do, then store away when not in use because this has the potential to provide access for unsupervised children.